The American Red Cross is responding to disasters across the entire country including this week’s tornado damage in southern Louisiana and flooding out west. More than 360 Red Cross disaster staff and volunteers are deployed to multiple response scenes, helping people impacted by these emergency situations. In Louisiana, more than 65 people spent Thursday night in shelters where tornadoes caused heavy damage earlier this week. In addition to providing shelter and meals, Red Cross disaster workers are distributing relief supplies such as tarps, cleaning materials, snacks and water. Also in Louisiana, Red Cross workers opened a shelter after an explosion caused a large fire at a gas processing plant in St. Charles Parish, closing roads and impacting nearby residents. In California, Shasta County residents living along the Upper Sacramento River have been ordered to evacuate as rising waters threaten their properties. Rain is still falling in the area and the Red Cross has a shelter ready to open to help. In Madera County, residents in the Cedar Valley area have been advised they may need to evacuate due to river flooding and the possible failure of the Lewis Creek dam. The Red Cross is ready to respond if needed. In Washington, the Red Cross has a shelter open in Maple Falls after a winter storm caused numerous power outages. Officials are also monitoring possible flooding in Western Whatcom County. In Idaho, Red Cross workers opened a shelter after heavy snow and rapid snow melt caused flooding in Twin Falls County where officials declared a flooding emergency and residents are being asked to evacuate. In Montana, the Red Cross opened a shelter at the request of the Blackfeet Nation where blizzard conditions are expected in Glacier County. In Wyoming, the Red Cross opened a warming center in Teton County after a large power outage. In Nevada, the Carson River is rising with more rain and snow expected. In Elko County, officials declared a state of emergency after a dam broke, leading to flash flooding. The Red Cross is monitoring these situations and will respond if needed. In Pennsylvania, 68 Bucks County residents sought refuge in a Red Cross shelter in Warrington after a tanker carrying hazardous materials overturned, forcing people to leave their homes. In Erie County, 19 residents of a senior apartment complex were also offered food and shelter after a large fire forced scores of people from their homes. In Massachusetts, blizzard conditions have left as many as 40,000 without power in the Provincetown area and forced the shutdown of the Pilgrim Nuclear Power Station. In New York, blizzard conditions led to a state of emergency in Suffolk County. The Red Cross is also monitoring these situations and will respond if needed. DOWNLOAD EMERGENCY APP : With the many weather threats across the country this week, more than 218,000 winter weather and flood alerts were sent out in just two days via Red Cross apps. Everyone should download the Red Cross Emergency App to have safety information available on their mobile device, including emergency weather alerts, safety information and open shelter locations. Red Cross apps are available in smartphone app stores by searching for the American Red Cross or going to redcross.org/apps. MAKE A DONATION Help people affected by disasters like tornadoes, flooding, blizzards and countless other crises by making a donation to Red Cross Disaster Relief. Your gift enables the Red Cross to prepare for, respond to and help people recover from disasters big and small across the United States. 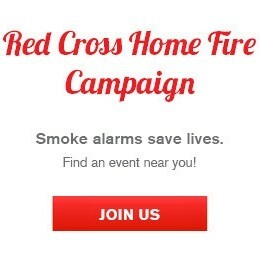 Visit redcross.org, call 1-800-RED CROSS or text the word REDCROSS to 90999 to make a $10 donation. ADGP $1 Million members are: American Airlines; Anheuser-Busch Foundation; Anthem Foundation; Caterpillar Foundation; Costco Wholesale; Delta Air Lines; Disney; Enterprise Rent-A-Car Foundation; FedEx; General Motors Foundation; Grainger; The Home Depot Foundation; Humble Bundle; LDS Charities; Lowe’s Companies, Inc.; Mazda North American Operations; Nationwide Foundation; State Farm; Target; UPS; VSP Global; Walmart and the Walmart Foundation; and The Wawa Foundation. ADGP $500,000 members are: 3M; Altria Group; American Express; Aon; Bank of America; Boise Paper; Capital One; Cisco Foundation; Citi Foundation; Darden Restaurants, Inc. Foundation; Discover; Edison International; Farmers Insurance; Ford Motor Company; John Deere Foundation; Johnson Controls; McDonald’s Corporation; Medtronic Foundation; Meijer; Merck Foundation; Mondelēz International Foundation; National Grid; PepsiCo Foundation; Procter & Gamble Company; Reynolds American Foundation; Ryder; Southwest Airlines; Sprint; Sunoco; The TJX Companies, Inc.; United Airlines; United Technologies Corporation; and Wells Fargo. T O Y O T A; U-Haul International; U.S. Bank; The USAA Foundation; and Visa.